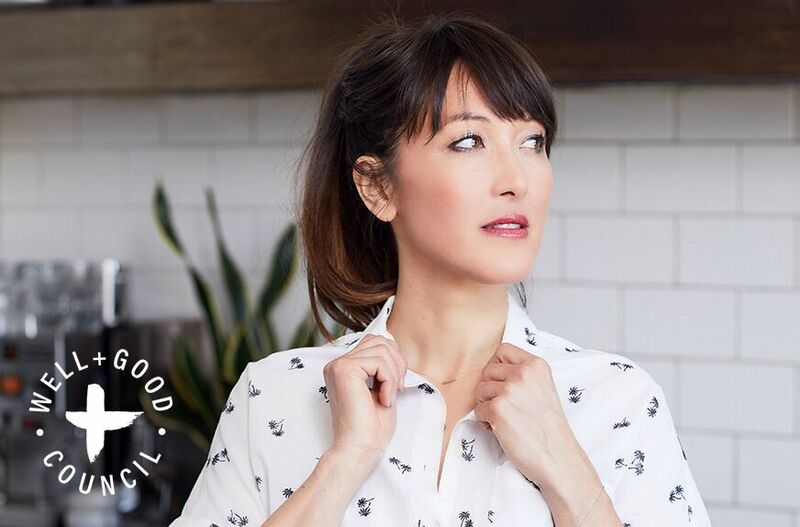 For chef and wellness expert Candice Kumai, wellness is a mix of the traditional and modern—all inspired by her Japanese heritage. In her new book, Kintsugi Wellness, (which pre-launched at Well+Good’s first-ever retreat), Kumai shares insight into why this viewpoint has changed her life. Here, she reveals the challenging (and often painful) journey to help heal her heart. I’ve had many dark corners in my life, many that I didn’t talk about, because in American culture, it’s customary to see “the bright side,” the positive side, to write only about the sunshine in life. But growing up with a tough Japanese mom, I saw reality. Mono no aware is what we call this in Japanese: the pathos of life. This is the story of one of my darkest times. I was in New York City, where someone I loved deeply had left me. I didn’t know how to cope through healing my heart. I questioned everything. There were moments when things were just a blur. Life seemed to be a hot mess of “How am I even going to get out of bed today?” The darkness of the city had taken over a large portion of my usually sunshine-filled heart. The darkness of the city had taken over a large portion of my usually sunshine-filled heart. My sister and my friends took care of me. They listened and supported me as I prepared for a trip to Japan I had on the books. Once I was there, I saw shadows cast over the mountains of Japan. I can still picture these mountains today, from Baachan’s (Grandma in Japanese) hospital window. I went to visit her the past few years to reconnect, to find peace, to study, and to say goodbye. Most people didn’t see my darkest moments, so they never knew I was hurting inside. Depression had taken over a majority of my days. I hid this from everyone because I didn’t know how to communicate my pain at that time. But slowly, my ancestry brought me back to life. My differences, imperfections, and grievances were painful. That pain awoke the giant in me. I learned to accept my imperfections through wabi sabi. I took my mask off and started opening up. I began sharing my perfectly imperfect stories with friends like Lewis Howes and Lauren Ash from Black Girl In Om, Lori Harder, Gerard Adams, and my friend Jess Murnane on One Part Podcast. They all commended my open heart and brave spirit. They all, too, had their own painful stories to share. I began to do what I call “the work” in order to heal my heart and put myself back together. I filled my “cracks” with the work. I began writing more on my personal struggles. And I wrote Kintsugi Wellness because it was time. I wasn’t planning on doing any of this. I never would have dreamed that my life’s greatest struggles would become the rhythm and pulse of my writing. My heart poured into the pages of Kintsugi Wellness because I no longer had to pretend to be a “persona.” I was a person, and I was confident and chill all on my own. I didn’t want to be famous or to seek fortune; I only wanted to one of greater service to others. That’s why I went to culinary school, penned six books, and became a writer: to be the osettai (to be of service) in your life. Writing Kintsugi Wellness helped to mend my heart. I wrote it in hopes that it will do the same for you. You’ll find the cover, wrapped in gold kintsugi art, as a metaphor for your life. The practices within healed my heart and gave me my life back. The golden cracks across my heart and mind are still ingrained into my life. The golden cracks are there, so I’ll never forget. The golden cracks made me who I am today. I now love, accept, and own my truest calling. I now choose to walk away from mainstream wellness to start documenting historical, ancient, and traditional wellness. But I still love the old and the new, much like the Japanese do. We love modern technology and wellness advances, but we cherish the ancient traditions and customs of Japan. In the new book, you’ll learn much more on each of these practices and how to utilize them in your everyday life. I have interviewed those who have overcome war, famine, and natural disasters. I have talked with those who were discriminated against and those forced to flee due to times of turmoil. I learned that we all have kintsugi wellness across our hearts and minds. We all have stories to share and tell. We are all broken into beauty; that’s who we are. I now love, accept, and own my truest calling. 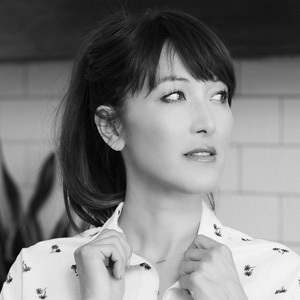 Candice Kumai is an internationally renowned wellness writer and chef is a five-time, best-selling author. A Top Chef alumna and Food Network guest, She’s appeared as a judge on Iron Chef America and Beat Bobby Flay. Candice is a former model, a lover of vegan cake baking, a matcha fan, and a total sneakerhead. In her downtime, she enjoys avocados, her cat Sis, and barre. Her new book, Kintsugi Wellness, is out now. What should Candice write about next? Send your questions and suggestions to experts@wellandgood.com.